I have a few recipes for meatballs that I really love but this one is my favorite. These meatballs are seriously packed full of flavor. They come out moist on the inside and have just the right amount of crunch on the outside. They also don't require any fancy ingredients or steps. If you have a basic spice collection, you can definitely make these. 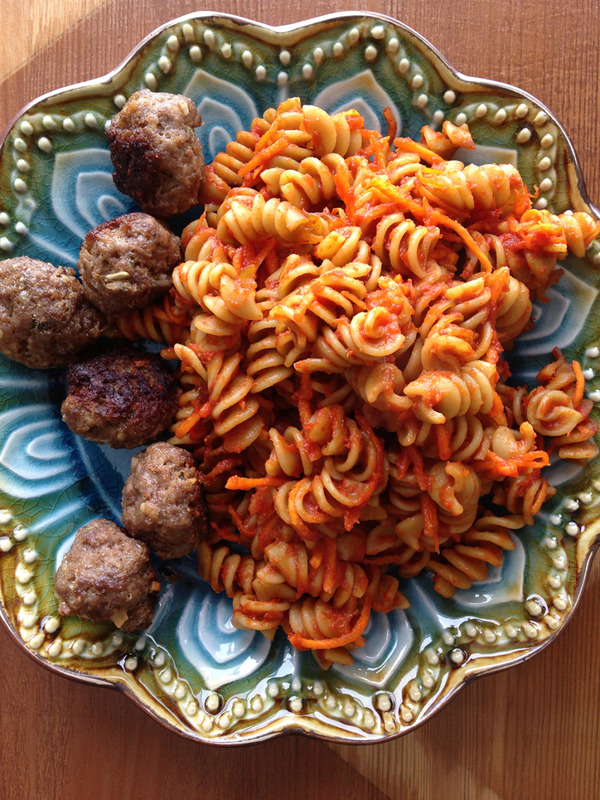 If this is your first time ever making meatballs, this is a great recipe to try! Your kitchen and house are going to smell amazing when these babies are baking. What are meatballs made of? This is a fairly common question! I've met people who love to eat meatballs but have absolutely no idea what they're made of. Meatballs are made with ground beef, seasonings, bread crumbs, and sometimes egg and or milk. 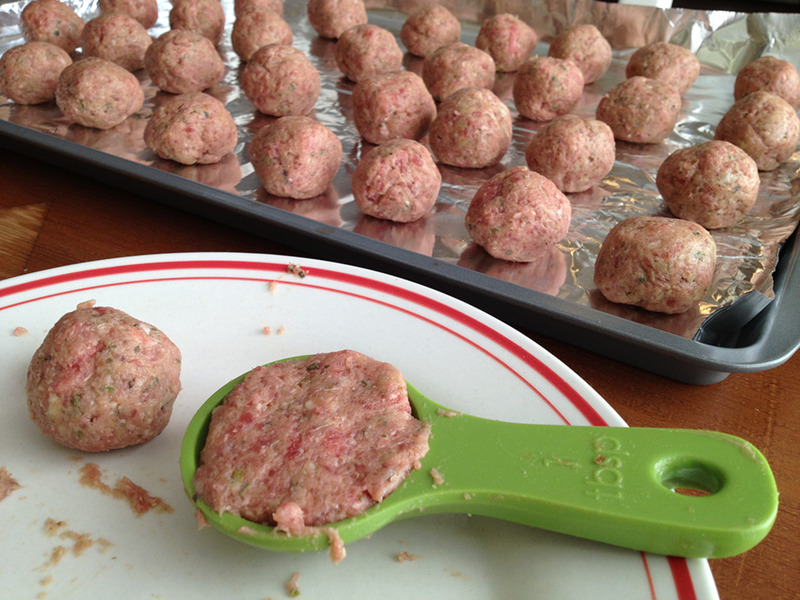 Meatballs can also be made from ground pork or turkey. I've even made them using half ground beef and half ground turkey-- they came out fantastic! There's no shame in using dried minced onion from a bottle or Parmesan cheese from the shake can. Nothing beats fresh ingredients, but the aforementioned items are cheaper and keep longer. I always have Parmesan shake cheese and a bottle of minced onion on hand. I have a fresh onion MOST of the time. I can't remember the last time I had fresh Parmesan cheese. Use what you have. It's going to be delicious! Combine all ingredients in bowl and mix until thoroughly blended. Form into meatballs and place on cookie sheet. Bake in 400° oven for 20 minutes. I like to mix all of my ingredients except the raw meat at first. It should look like a crumbly paste. Then add raw ground beef. 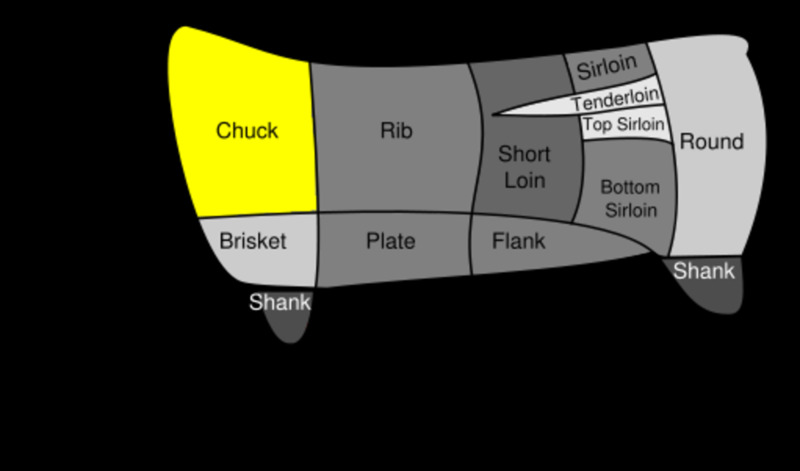 I'm very old-fashioned and hands-on when I cook, so I always use my hands to combine my meat and other ingredients. I just feel like it's the only way that I know for certain that all of ingredients and spices are blended thoroughly and evenly. I rub a tiny bit of olive oil on my hands and rub it in like lotion ALL OVER before I start mixing with my hands. This keeps all of my ingredients in the mix and not stuck to my hands. I love it when my meatballs are practically all the same size. To keep them uniform, use a melon baller. If you don't have one, just use a measuring spoon. I like to use my tablespoon-sized plastic measuring spoon. 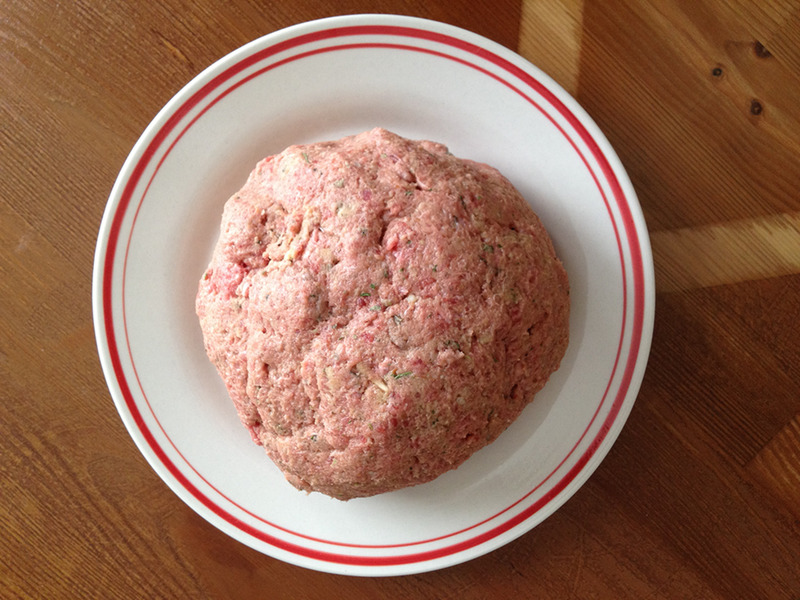 I scoop raw meatball mix into it, level it off, and then roll the meat into a ball in my hands. (See photo above) I like to coat the spoon with a little olive oil. This keeps the spoon relatively clean and makes it easy to get the raw meatball out every time. Line your cookie sheet with aluminum foil. This makes clean up a breeze and I also feel like it cooks the meatballs better. The meatballs have deliciously crispy bottoms that are easy to separate from the foil. When your meatballs have finished cooking, remove them from the oven and let them rest for about 5 minutes. 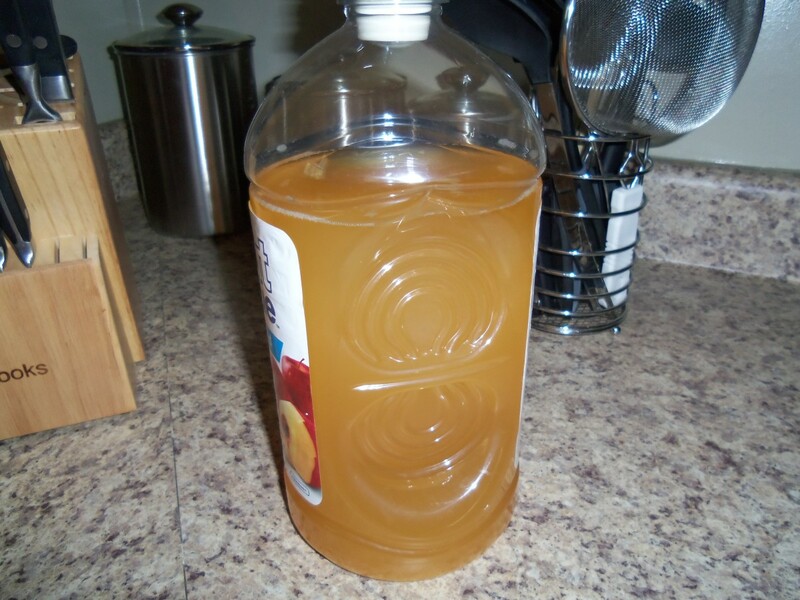 This allows juices to get locked in. It also makes it easy to remove them from the aluminum foil. If you're moving the meatballs from the pan to a serving dish and notice the bottoms are sticking and destroying your picture perfect meatballs, it's probably because they need to rest. Not sure if your meatballs are cooked all the way through? 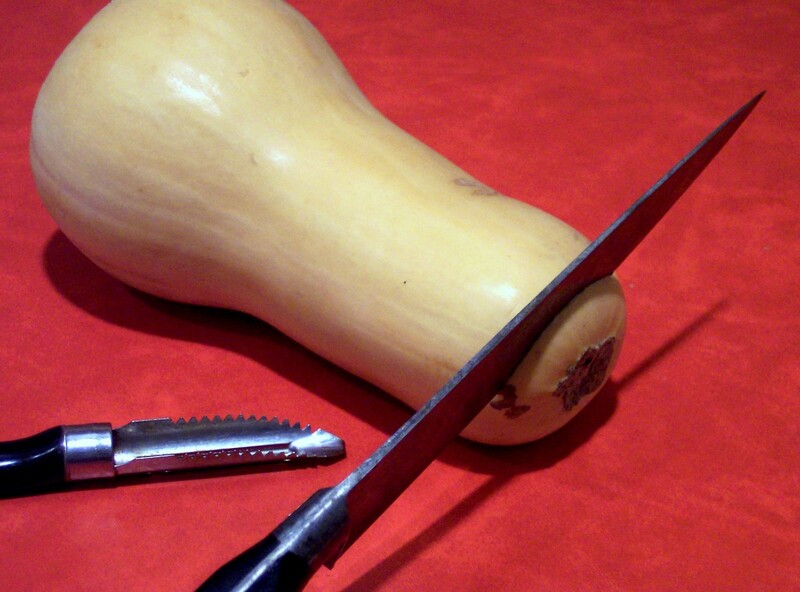 Use a knife to cut your biggest meatball in half. As long as you don't see any pink, you should be good. If he's cooked, then the smaller ones have to be. 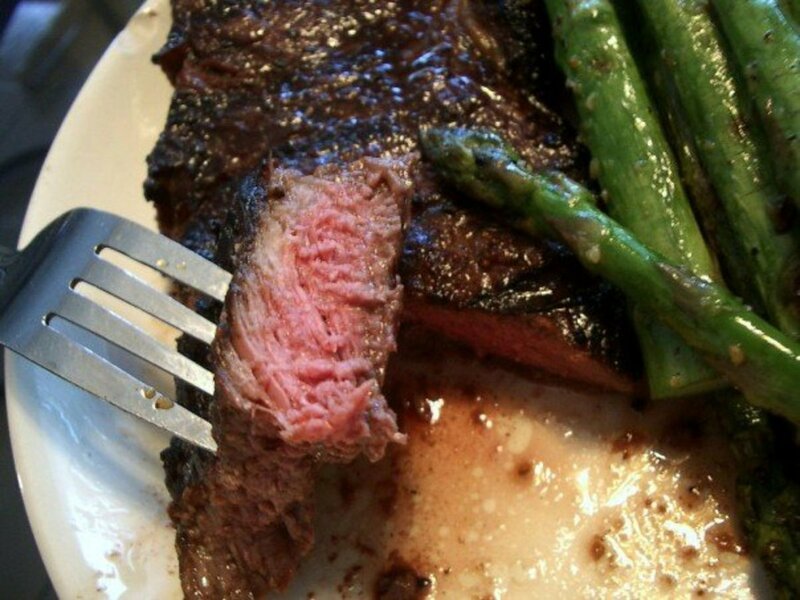 If you still see raw pinkness, return to oven and cook for another 5-10 minutes but keep an eye on them so they don't burn. Meatballs are a great meal that can be made ahead and frozen for future dinners. You can also prepare these meatballs as appetizers. 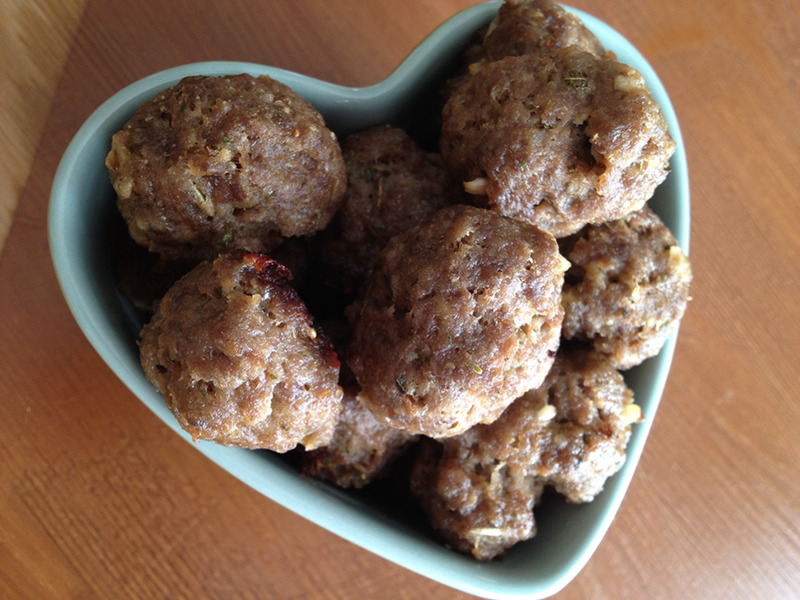 Stick a toothpick in each meatball for easy serving and you're ready to host! This meal is a favorite in my house! It might look complicated or time-consuming, but it isn't at all. My husband and I love freshly shredded carrots in our pasta dishes. We started doing this about a year ago. It tastes great and it's an easy way to add more veggies to your meals and diet. Barilla Veggie blend pastas come in different flavors. My favorite is the zucchini and spinach blend which is green in color. 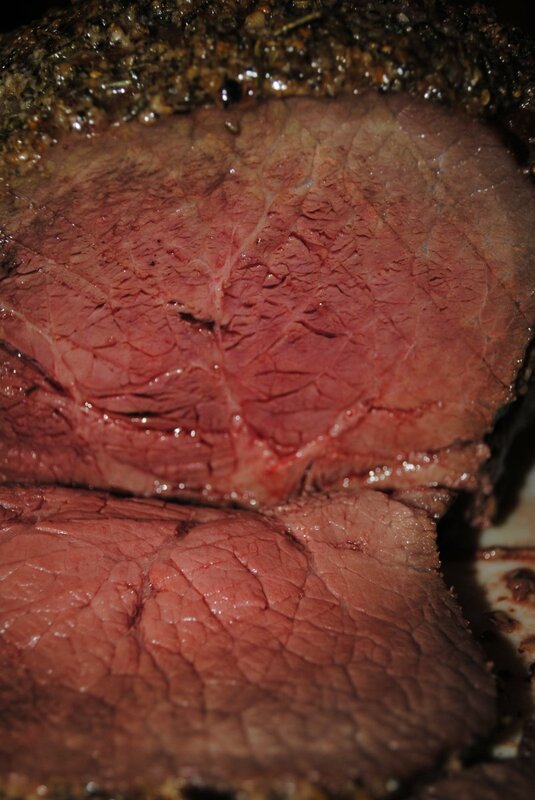 It's pictured above, but with the sauce it may not look very green. They also make a carrot and squash blend that is an orange-colored farfalle and a reddish penne that is a tomato and carrot blend. The pasta takes about 8 minutes to boil, so I boil it while I'm rolling my meatballs. When the pasta is finished, I drain it, return it to the pot and add my sauce and shredded carrot. I mix well and spoon it into a Pyrex baking dish. When I'm done rolling my meatballs, I place my cookie sheet of meatballs and my dish of pasta in the oven and bake for 20 minutes at 400°. You can cover your pasta with foil if you don't want it to dry out, but I personally like when the top layer gets a little over-baked. Love these meatballs! Meatballs will make or break Italian spaghetti. I will definitely make these again! Great recipe. 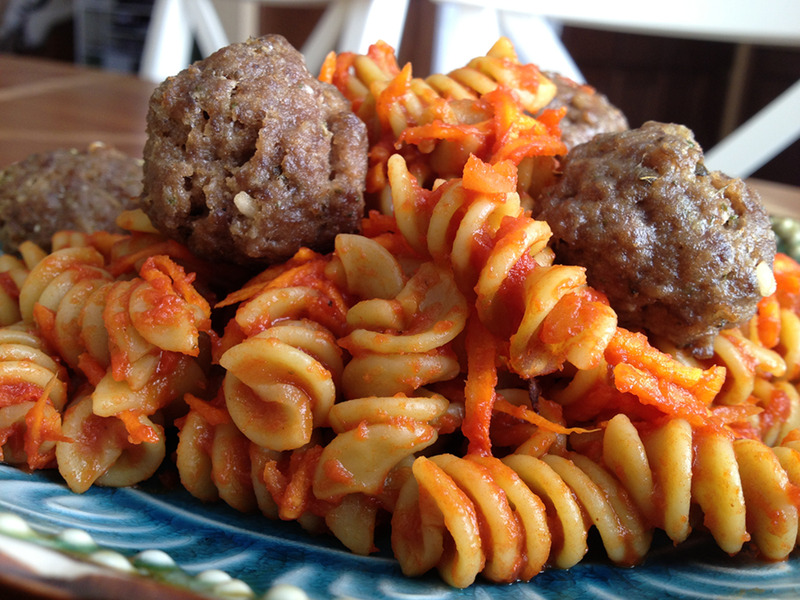 I would love to give it a try with ground turkey/chicken instead of beef for the meatballs. Voted up! Sounds delicious, i will have to try the Worcestershire Sauce. I make an awesome chicken meatball/nugget. I might have to tweak my recipe and try it with Worcestershire Sauce. Thanks! I make my meatballs from scratch too. My recipe is very simar to yours with the exception of oregano and Worchestershire sauce; although the Worchestershire sounds good and I may try that. No one in the family likes oregano. Nice presentation and thanks for sharing your recipe with us. I love meatballs and make my own from fresh mince regularly. These look first class. Your photos are top notch! It's nearly midnight but my taste buds are quivering! These meatballs look amazing! Thanks for sharing your recipe. Great pics--looks yummy! Congrats on Hub of the Day! A job well done! Love the images too. Congrats on the HOTD award. 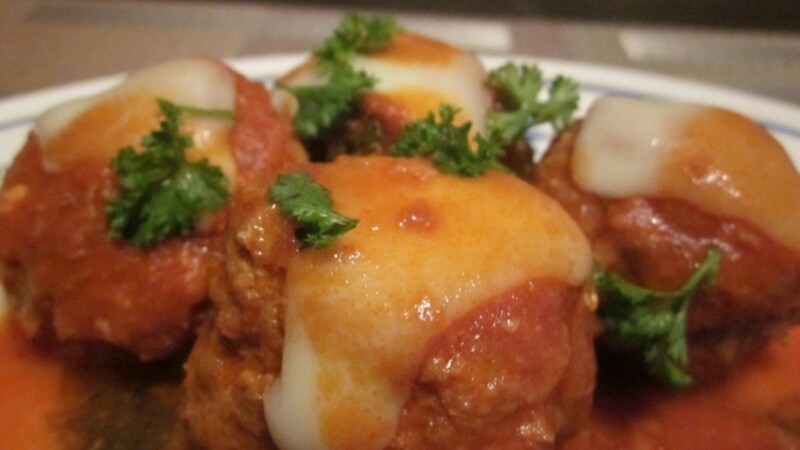 Great meat ball recipe. I am going to try it with ground turkey. Congratulations! @StoneCircle-- Haha! Thanks for the lovely comment. It's true though- there really is no other way.. I agree. My hands are sometimes my best kitchen gadget. Great way of making meatballs. Must try these. We love meatballs and this will be a different variation. Enjoyed you're hub. 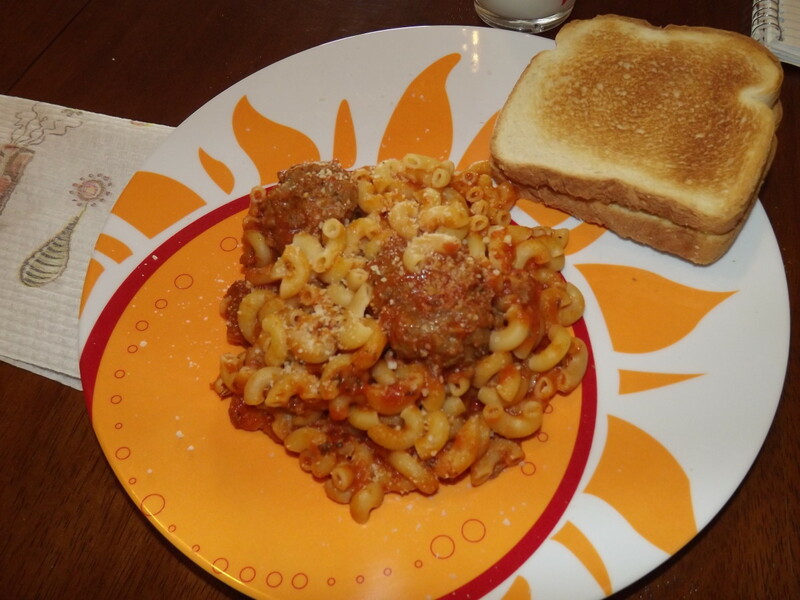 My mother cooked meatballs , and macaroni for sixty years, and she cooked a large pot of it every Sunday. She owned a restaurant , and served the dish regularly. She was also a town council woman for our town. She passed away. Soon I will make some meatballs by using you're recipe. There is nothing like home made meatballs. God Bless You dear heart. I am Italian, and so is my family. Thanks for this recipe. Excellent - sounds and looks good. Great ingredients. Thank you! 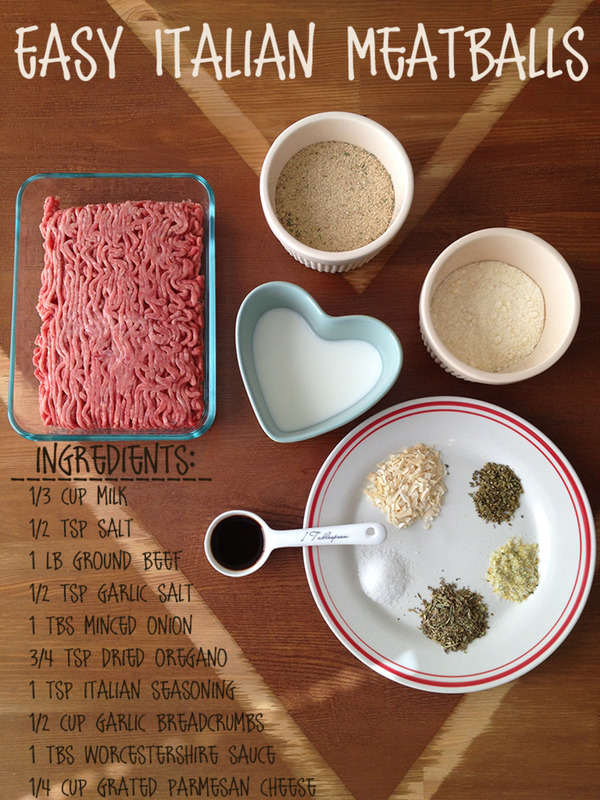 I've been wanting a good meatball recipe made with ground beef. 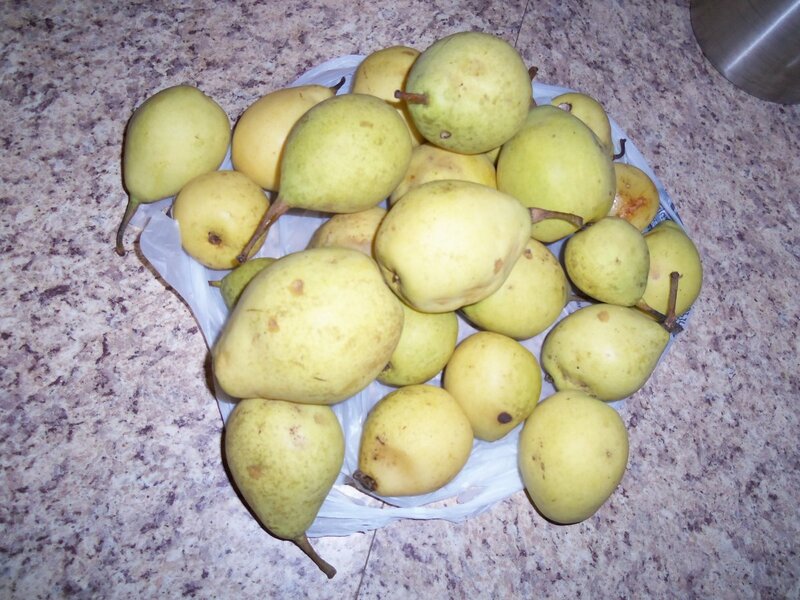 This recipes looks good and easy and I like your recommendations and tips. Good pictures, good hub and good job! Great looking hub! Congrats on HOTD, Heather Says. The pics are fantastic. I bet these oven-baked meatballs taste scrumptious. Voted up, useful, and awesome. The food is looking very delicious , may be it will be delicious. Mmm a great recipe to vote up and share. I like how you photograph your food. It looks professionally done. Please pass the meatballs. We love our meatballs and are always open to trying something new. When I have a party I bake them as I am able to cook a large number at once. They sound awesome, will be doing this for tea tonight!! This looks great! I will surely have to try them....I'm always looking for a easy and delicious meatball recipe :) Thanks for the info! :) Voted up and interesting, and useful! Your photos made my tummy uneasy. Delicious! Thank you so much for sharing!! I'm definitely going to have to try this. Great hub! It's making me hungry and I am definitely going to try the recipe. Thanks for the recipe. Your photos make me hungry; the food looks so good. Voted Up and Useful! You weren't kidding when you said easy! I'm in awe. It's great to know that making homemade meatballs can be so simple. Thanks for the great recipe. wow Yummy... Thanks For Sharing..